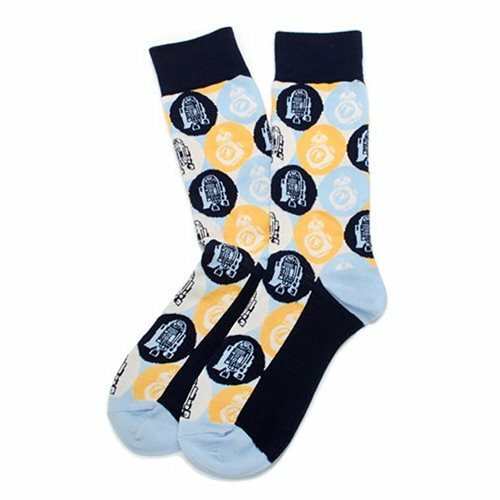 Show your love for Star Wars and the rebellion with these amazing socks! The Star Wars R2-D2 and BB-8 Pop Art Socks have a fun pop art style pattern that features R2-D2 and BB-8. One size fits most (up to men's 12). Ages 14 and up.